Such a pretty, feminine and flirty necklace. When you wear it, it makes a statement with a nice suit or dress, or a white shirt and jeans. 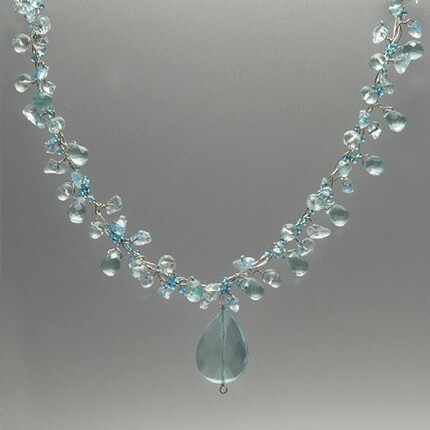 It is made with fine and sterling silver wire and findings and beautiful aqua beads. We also make coordinating earrings. Please inquire if interested.